Die break error coins are scarce and valuable collectibles. So, what exactly is a die break? Are die breaks and die cracks different? What about cud error coins? Ready to go on a search for some neat error coins? Okay… break out your loose change, a 5x-power magnifier glass, and let’s have a look! Following is the ultimate list of die break error coins to look for. What Are Die Breaks & How Are They Made? 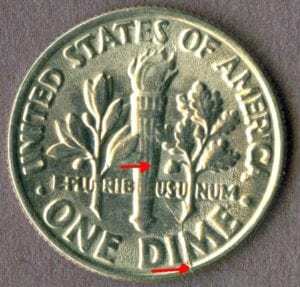 A coin die imprints a design on a blank coin. Dies are made to strike tens of thousands of coins before becoming too worn to use any further. Sometimes, coin dies begin showing signs of heavy use before US Mint officials can remove the die and replace it with a new one. When dies become overly worn and brittle, they usually exhibit wear through minor lines, cracks, and other oddities that form on the die. Once these die breaks develop, they’re transferred onto the coins — often creating raised (sometimes jagged) lines known as die cracks. As the die breaks grow, so can the size, length, and magnitude of the error. 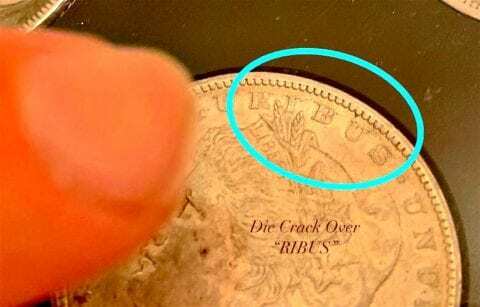 Depending on the size and location of the die crack (or die break), these error coins may be worth anywhere from a couple dollars to several hundred dollars — or more! By the way, some coin collectors passionately disagree on the definitions behind one type of die break error versus another. This is particularly true regarding what constitutes a cud versus a die chip / interior die break. As interest in error coins continues growing, coin collectors may develop even more classifications for die breaks. Are Coins With Die Breaks, Cracks, And Cuds Rare? While all error coins are by definition rare, die breaks, die cracks, and cud errors are among the more common error coins. Large die breaks, cracks, and cuds were made far less frequently. Those that were produced were often caught by the US Mint’s quality control team. So, in general… dramatic appearance, large size, and prominent location on a coin are marks of “rarer” die cracks, breaks, and cuds. Interest in die breaks varies from collector to collector. Some die breaks are classified as individual varieties that are collected within a particular coin series. Perhaps this is most strongly the case with the ever-popular Morgan dollars and Peace dollars. These old silver dollars are classified by collectors based on the presence of certain die anomalies — including die breaks. Morgan and Peace dollar classifications were first popularized by Leroy C. Van Allen and A. George Mallis in their book, The Comprehensive Catalog and Encyclopedia of Morgan and Peace Dollars — and the varieties are shorthanded as “VAMs” (a combination of the initials of Van Allen and Mallis’ last names). VAM Morgan and Peace dollars, many of which are classified solely on the basis of die breaks, can range in value from $50 to several thousand dollars. Another popular type of die break involves a raised blob of metal in between the letters “B” and “E” in “LIBERTY” on Lincoln pennies. These are called “BIE” errors, or BIE Lincoln cents and are also highly collectible. Many range in value from $5 to $50 …and up. How Much Are Die Break Error Coins Worth? 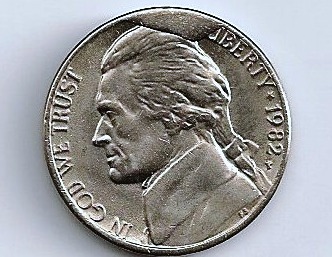 As with many types of error coins, values for die breaks largely depend on the size, location, and magnitude of the error. The larger, more prominent, or more intrusive the die break, typically the more that coin is worth. It’s normally fair to presume any die break coin is worth more than the same coin without a die break. As stated earlier, coins with die breaks fall within a broad spectrum of values — ranging from only a couple dollars to hundreds of dollars or more. So, the value of coins with die breaks is usually best evaluated on an individual, sight-seen basis. 5 Amazing Videos Of Error Coins You Have To See!